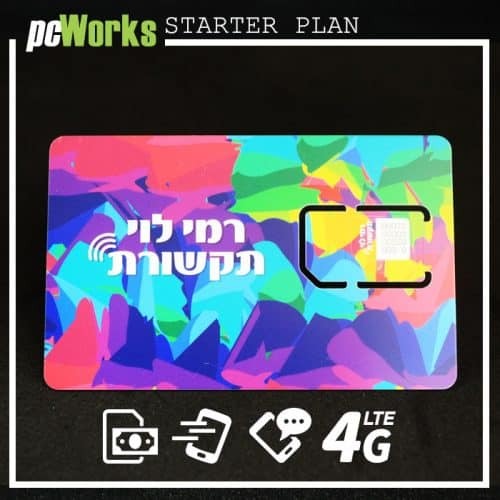 Israeli Prepaid SIM Card. 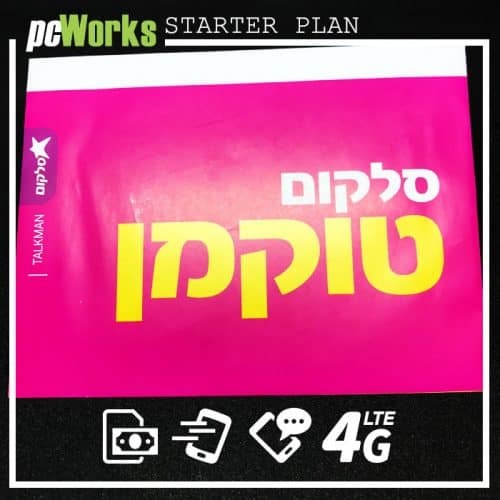 Take a FREE ISRAELI SIM CARD and Israeli Number With Each Starter Pay As You Go Plan ! 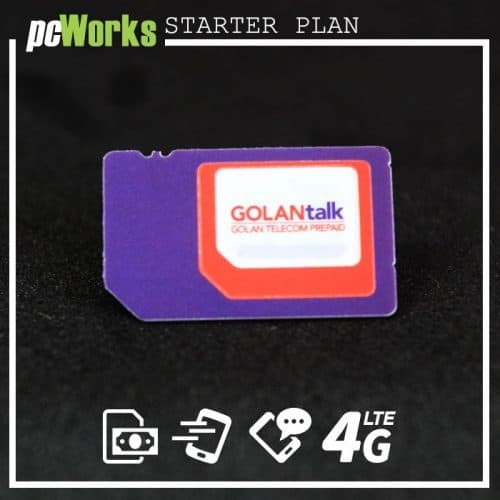 This particular SIM card is providing talk, text as well as data coverage locally. 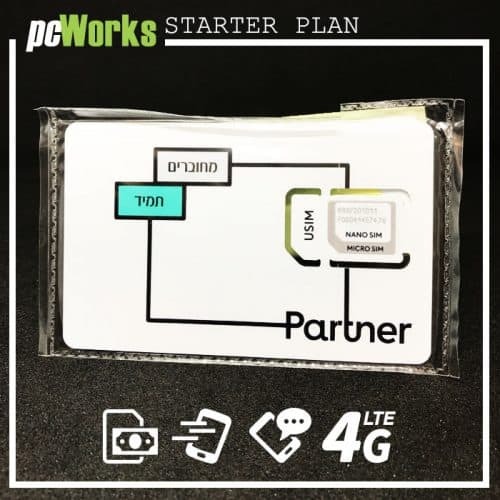 The Israel Prepaid SIM Card has been regarded as the most economical and convenient solution for keeping in touch with your friends or loved one anywhere in the world. With this, you can get started chatting to your family and friends back home through just connecting to a local Israel network. It helps you to save as much as 90 percent on the roaming charges with no connection fees. 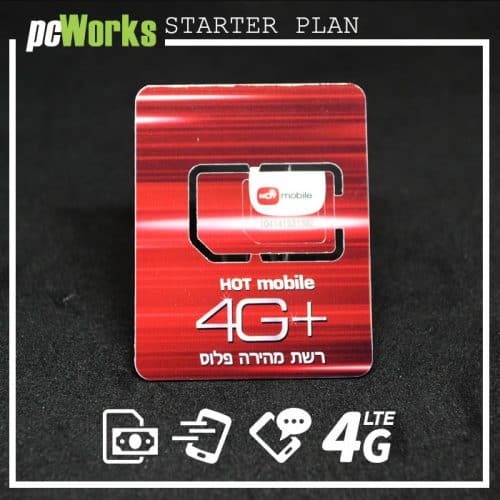 Every prepaid Israeli SIM card comes with nice features. Share your contact number with your friends or loved ones, or you can set up call forwarding to your recent number, providing you more travel flexibility. Are you too busy to respond your phone whilst touring for example the big city of Jerusalem and the nearby areas? No problem! You get a voicemail that is so easy to set up. Have your own official Israeli telephone number without monthly payment or a rental charge. The SIM card would remain active for a lifetime when you make use of this SIM once each year. Make use of a SIM card with unlocked modem or mobile phone. Simply insert the SIM card to your mobile phone if you land in the country and you’re good to go. 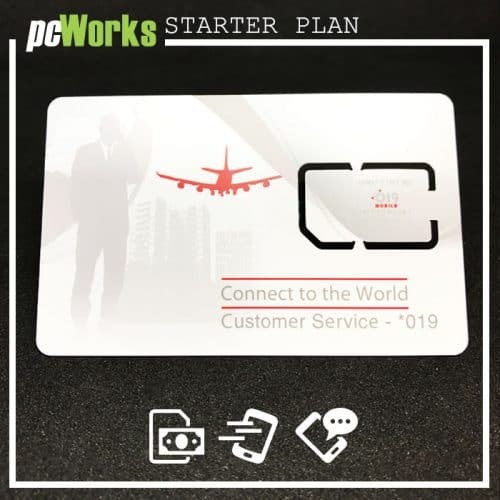 Top up for plans or credit here at PC Works with vouchers that are sold across the country, bonus plans & unlimited plans available for data and calls, you could select the start date for plans to begin if you arrive in the country. We offer shipping anywhere in the globe. Shipping worldwide would be delivered in less 14 business days, hotel shipping and express shipping available, please click here to view the shipping options.